They chose to be faithful. They chose to reject the fashionable skepticism of their time. They chose to believe and answer the call of duty. They had the wild, wild courage of youth. They seized certainty from the heart of an ambivalent age; they stood for something. Good photos and a clear, detailed description make all the difference when you’re buying and selling on eBay. The eBay seller I bought this Stanley Bailey No. 3, Type 14 from provided the photo shown at the top. I have no idea what they were doing to have the photo come out purple, but it sure didn’t make for a very compelling presentation. Looks like some bizarre combination of lighting sources, probably a mix of flash and fluorescent, or perhaps their camera was inadvertently set to some creative “mode.” Additionally, the description was virtually non-existent. 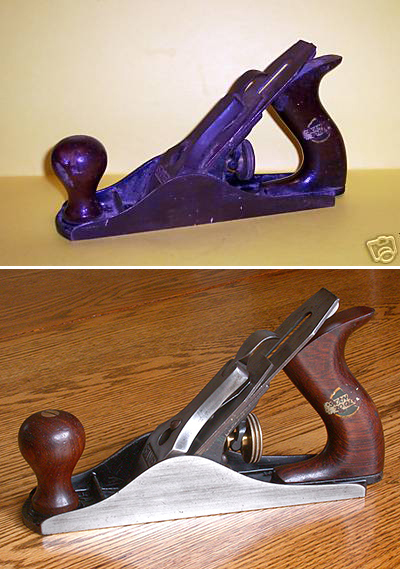 Something like “Old Stanley plane in good condition.” Didn’t really tell me much. Not surprising, the bidding activity was low and I got it for a bargain. After doing a light restoration on the plane, primarily just cleaning the crud off of it, I took the photo at the bottom using a 12 year old digital camera, cheap tripod, natural daylight, with the plane sitting on my kitchen table. You don’t have to be a professional photographer or have expensive equipment to get good results. You just have to make an effort and think about what you’re doing. Use Natural Light – Whenever possible, use natural light (daylight) for your light source. Avoid direct sunlight, stay in the shade or better yet, wait for an overcast day. Incandescent and fluorescent lights each produce a very different color balance, resulting in a yellowish cast or bluish cast respectively. While modern cameras usually do a fair job of compensating for this, the photos still look unnatural. If you must use artificial light, stick to either incandescent or fluorescent (don’t mix them) and try to set your camera for that corresponding light. Finally, make sure you turn off any sort of creative effects mode. Turn off the Flash – Flash photography, especially of stationary objects, is a tricky thing to get right. Flash tends to blast everything in light, flattening details and causing unnatural highlights and shadows. It’s not a good look. Find a place where there is plenty of natural ambient light as described above. Compose Your Shot – Fill the frame with your subject and think about your platform and background, everything that will be in the photo. Avoid patterned fabrics and anything that might be a distraction. Try to find a spot that is visually appealing, and ideally shows your item in its natural environment. If you’ve ever looked at my auctions, I photograph my tools right on my workbench, because ultimately that’s where they belong. 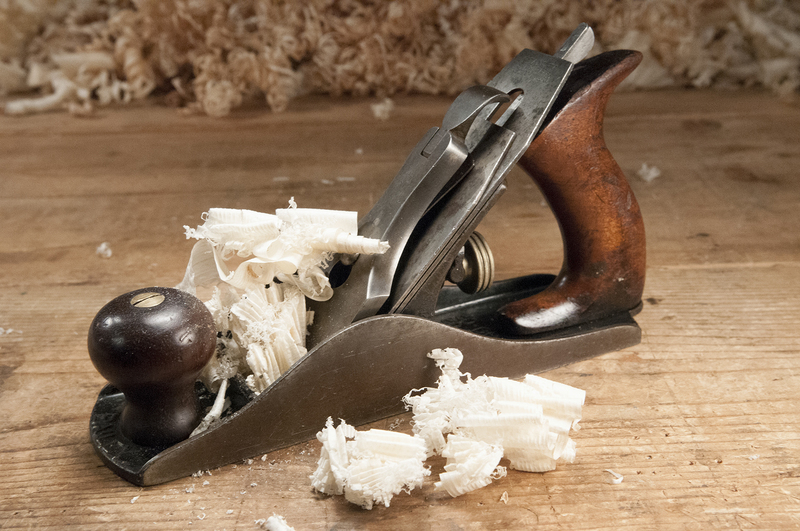 (See photo below) Even then, I remove as much of the clutter as possible so the tool will be the focal point. Image Size – All modern cameras, even the cameras on phones, produce relatively high resolution images. Make sure that your photos are at least 1600 pixels on one axis (either horizontal or vertical). Square format photos make the most of eBay’s available real estate, but are not always practical for your subject. Again, make sure you fill your frame like I did in the photo below. Other Equipment – A tripod is nice, but you really only need one if you’re using manual exposure controls with a slow shutter speed (slower than 1/60 sec) , where if the camera were hand held, the photo would be fuzzy from camera shake. A tripod, however, can be advantageous if you need to photograph in low light. You can take very long exposures without camera movement causing a fuzzy photo mess. Software – This is also optional, but a good photo editor like Photoshop can make a mediocre photo really pop. With a little practice, you can learn to correct color balance and fix minor exposure problems. If nothing else, you will likely need to crop the photo that comes straight from the camera. Stanley Bailey No. 4C, Type 10 photographed on my workbench immediately after a few test cuts. 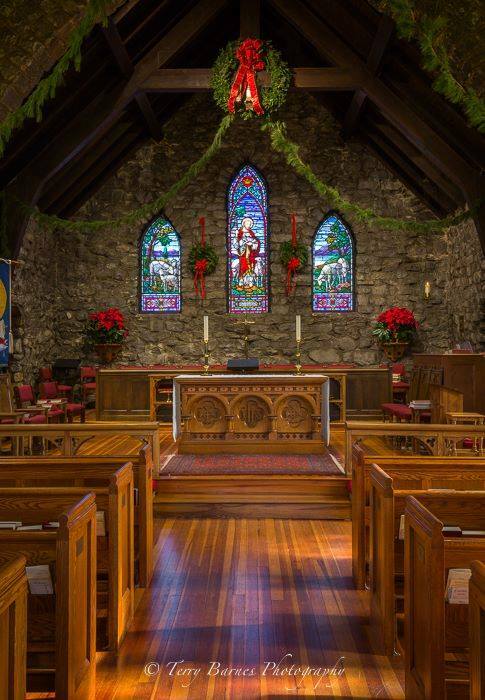 Merry Christmas from Virginia Toolworks! May you all be blessed with the warmth of family and friends, and the spirit and peace of Christmas! I had a customer one time who wanted to propose, but his girlfriend was ultra-practical and didn’t want him to spend money on a diamond ring. She told him that any ring would do, as it was what it represented that was most important. She told him it could be made of paper for all she cared. 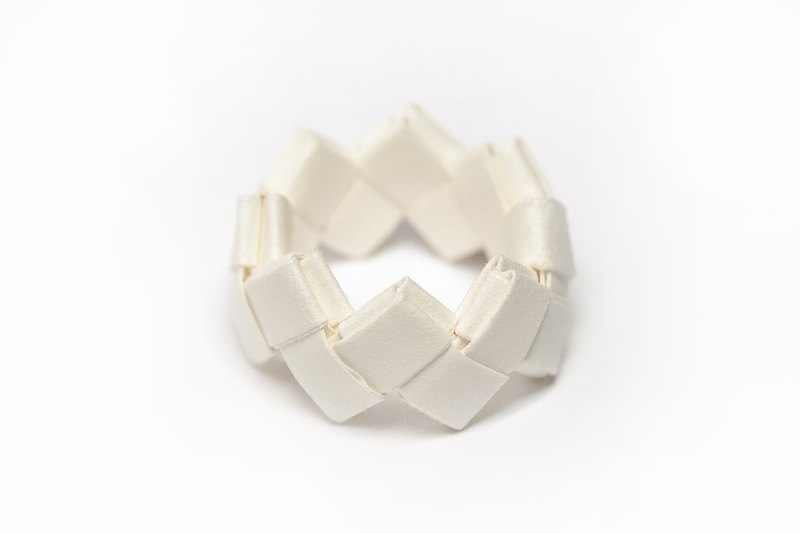 Inspired by the gum wrapper chains we made as kids, this is the ring I made for him, scaled to be the correct finger size for her, and crafted from acid free cotton paper, to keep it from turning yellow and getting brittle over time. There was a small news story recently that went largely unnoticed across the country. 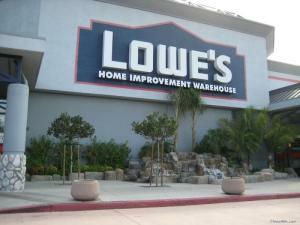 Home improvement retailer Lowes lost a $1.6 million lawsuit in Kalifornia (see what I did there?) for its the labeling of building products, specifically, dimensional lumber. Dimension descriptions are required to use the “inch-pound unit,” meaning they must include abbreviations such as “in., ft., or yd.,” and can’t use symbols like ‘ or ” to denote measurements. According to a 1964 publication by the U. S. Department of Agriculture titled History of Yard Lumber Size Standards, the national standard for lumber dimensions was established in 1924, with several revisions made over the years since. How is it, then, after 90 years of national, government affirmed standardization, the “consumers” of Kalifornia are so bewildered that one company can be singled out and levied such an exorbitant fine for “unlawfully” labeling it’s product? The real underlying issue, the greater concern if you will, has nothing to do with lumber dimensions. This case is a mere symptom of a much deeper problem. There’s an increasing ideological divide in this country in which the courts and our government continually impose laws and rules that pander to the lowest common denominator. I believe the birth of this mindset originated with the McDonalds hot coffee lawsuit in 1992, which paved the way for these frivolous progressive “consumer protection” actions. Common sense and personal responsibility have long since given way to this “nanny state” mentality, through which we all must be protected from our own stupidity and negligence. After all, anything that threatens (reveals) our intelligence, or lack thereof, must be dangerous and offensive, yes? Clearly not everyone thinks this way, hence the ideological divide. And make no mistake, the divide is real and gets wider every day as a result of the cultural and social dependencies nurtured by actions such as this lawsuit. I have no doubt that a significant proportion of the population is cheering this as a legal and moral victory. For every one of us who is outraged at the frivolous absurdity of this Lowes finding, there’s no doubt at least one counterpart in America who celebrates this as a victory against capitalistic dominance and discriminatory business practices. We are a nation completely obsessed with taking offense. It dominates our news, our daily conversations, our social media, and shapes our political alignment. Somebody please tell me, where is it written that anyone anywhere has a “right” to live without offense? Just because you’re offended, uninformed, underprivileged, or blatantly stupid, doesn’t mean you’re being discriminated against. And just because you’re inconvenienced certainly doesn’t mean you’re entitled to compensation. Or at least it didn’t used to. Everyone and his brother is fixated on one label or another, and any word, term, phrase, color, pattern, sign, or whatever that might cause someone hurt feelings is suddenly deemed insensitive if not discriminatory. 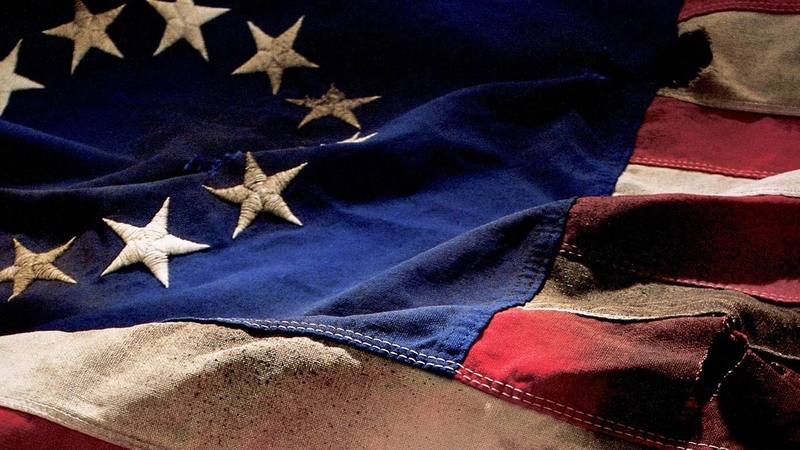 Even our own US flag is under attack by those who worry it might be viewed as offensive. Imagine that! Offensive!? Offensive to whom? And who cares? 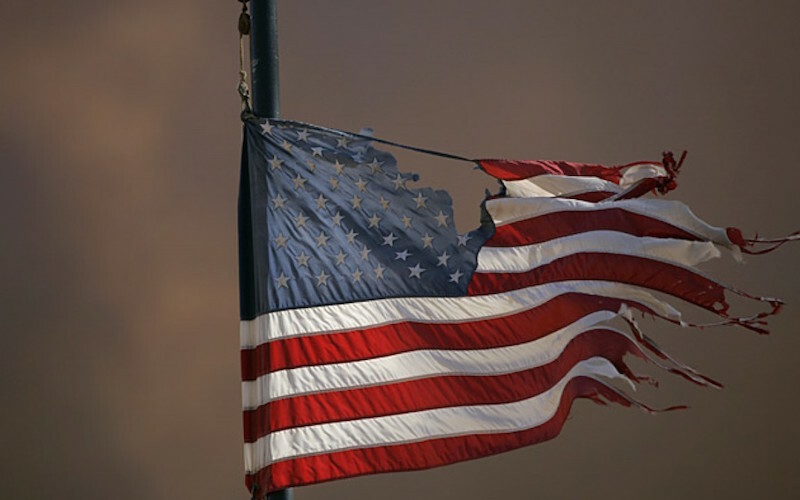 This is America, and this is our flag, is it not? But I digress. We are becoming a nation of helpless entitled pathetic crybabies, more interested in reality television, selfies, and a government provided free ride than in learning and earning our way in this world. And God forbid, anything that offends any one of us, the lowest common denominator, might be socially and politically unacceptable. Perhaps all adjectives should be banned and we should all wear homogenous pattern-less uniforms of beige or some other benign color. While we’re at it, we can do away with nouns and names and just assign everyone a serial number. Equal income, equal distribution of wealth, equal opportunity regardless of effort or intelligence. Socialism, Marxism, Communism…? Where does it end? You know what’s really scary? There are plenty of “Americans” who think that’s a great idea. How’s that for offensive? I’ll tell you one thing, bub… if you don’t know that a 2×4 isn’t actually 2 inches thick and 4 inches wide, do us all a favor – instead of getting sawdust in your mangingo and lawyering up, put down the hammer, go buy yourself a box of tampons and a Midol, wash it down with that skinny soy milk double latte frappawhatever, and hire someone who knows what the hell he or she is doing. THESE are the times that try men’s souls. The summer soldier and the sunshine patriot will, in this crisis, shrink from the service of their country; but he that stands by it now, deserves the love and thanks of man and woman. Tyranny, like hell, is not easily conquered; yet we have this consolation with us, that the harder the conflict, the more glorious the triumph. What we obtain too cheap, we esteem too lightly: it is dearness only that gives every thing its value. Heaven knows how to put a proper price upon its goods; and it would be strange indeed if so celestial an article as FREEDOM should not be highly rated. I call not upon a few, but upon all: not on this state or that state, but on every state: up and help us; lay your shoulders to the wheel; better have too much force than too little, when so great an object is at stake. Let it be told to the future world, that in the depth of winter, when nothing but hope and virtue could survive, that the city and the country, alarmed at one common danger, came forth to meet and to repulse it. Say not that thousands are gone, turn out your tens of thousands; throw not the burden of the day upon Providence, but “show your faith by your works,” that God may bless you. It matters not where you live, or what rank of life you hold, the evil or the blessing will reach you all. The far and the near, the home counties and the back, the rich and the poor, will suffer or rejoice alike. The heart that feels not now is dead; the blood of his children will curse his cowardice, who shrinks back at a time when a little might have saved the whole, and made them happy. I love the man that can smile in trouble, that can gather strength from distress, and grow brave by reflection. ‘Tis the business of little minds to shrink; but he whose heart is firm, and whose conscience approves his conduct, will pursue his principles unto death. My own line of reasoning is to myself as straight and clear as a ray of light. Not all the treasures of the world, so far as I believe, could have induced me to support an offensive war, for I think it murder; but if a thief breaks into my house, burns and destroys my property, and kills or threatens to kill me, or those that are in it, and to “bind me in all cases whatsoever” to his absolute will, am I to suffer it? What signifies it to me, whether he who does it is a king or a common man; my countryman or not my countryman; whether it be done by an individual villain, or an army of them? If we reason to the root of things we shall find no difference; neither can any just cause be assigned why we should punish in the one case and pardon in the other. Let them call me rebel and welcome, I feel no concern from it; but I should suffer the misery of devils, were I to make a whore of my soul by swearing allegiance to one whose character is that of a sottish, stupid, stubborn, worthless, brutish man. I conceive likewise a horrid idea in receiving mercy from a being, who at the last day shall be shrieking to the rocks and mountains to cover him, and fleeing with terror from the orphan, the widow, and the slain of America.